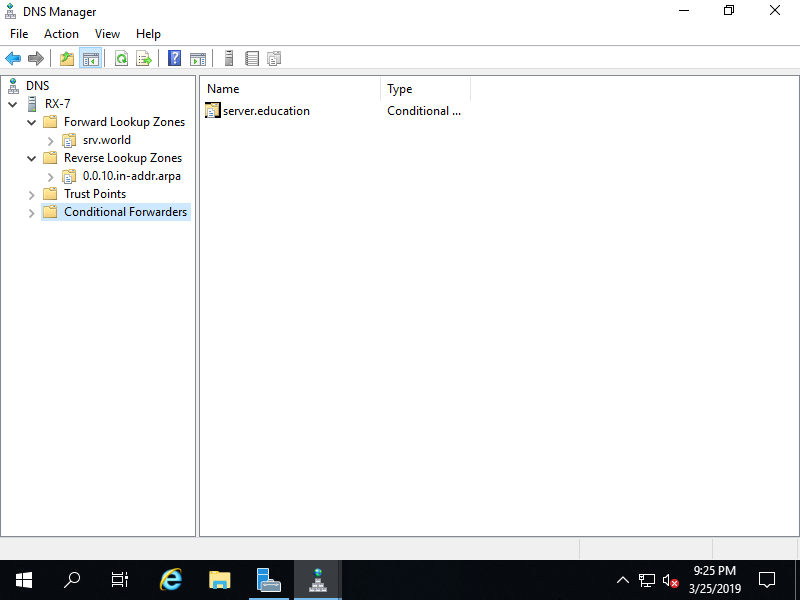 On this setting, it's possbile to transfer specific queries of a domain to specific Server you set. For example, set [10.0.0.10] as a Conditional Forwarder. 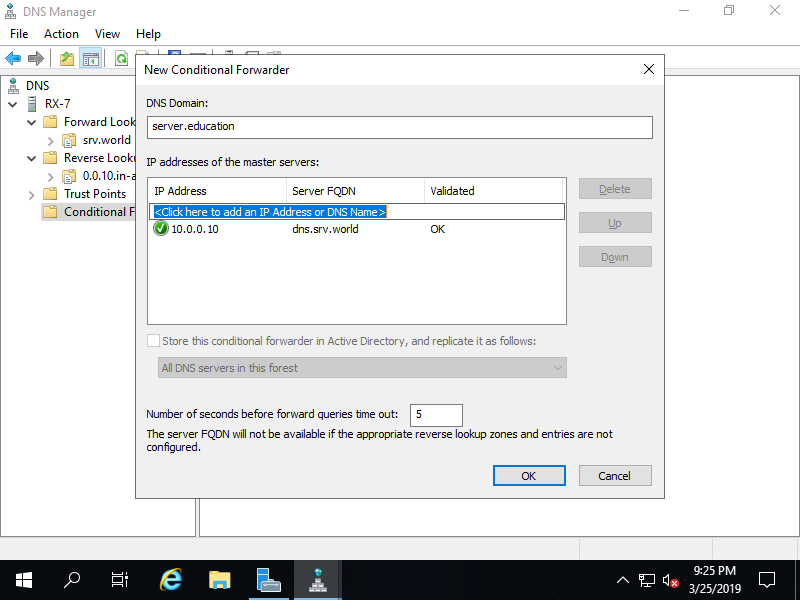 Run Server Manager and select [Tools] - [DNS], next right-click [Conditional Forwarders] and select [New Conditional Forwarder]. Input a domain name you'd like to transfer queries of resolving and also input transfer target DNS Server's hostname or IP address. 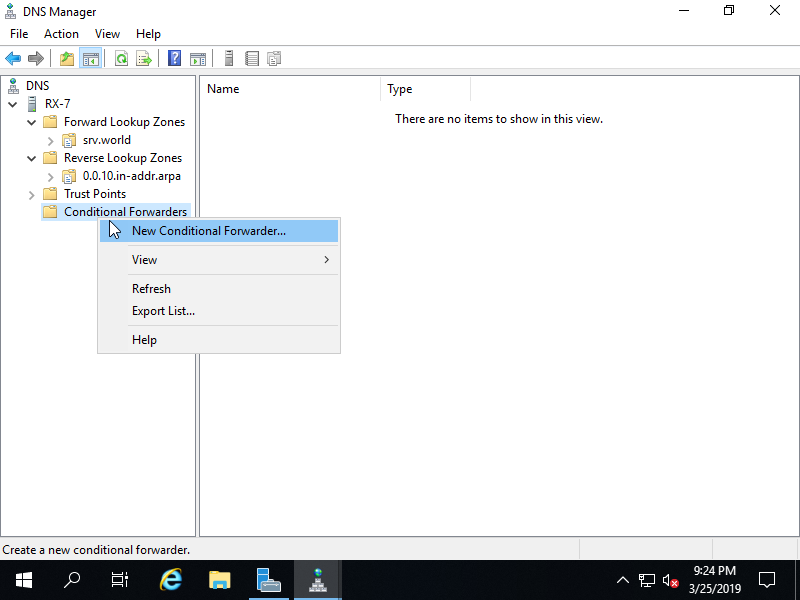 Conditional Forwarder has been added.